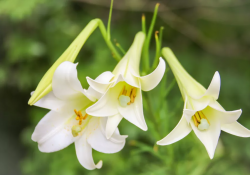 It is springtime and C-CISD will have Good Friday, April 19th, as a holiday. We will also be releasing students early on Thursday, April 18th. Junior High and High School students will be . 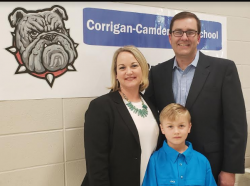 . .
Corrigan-Camden ISD School Board named Richard Cooper as lone finalist for Superintendent of Schools. Pictured with his wife, Mendi and son . . .
Friday March 1st Early Release, Students only. 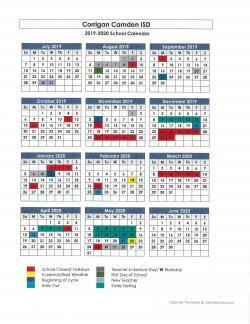 Friday March 8th Early Release, All Early Student Release Time, Elem 1 pm, JH/HS 1:15 pm Spring Break March 11-15th. You may view our Calendar 24/7 . . .
C-CISD School Board approved the 2019-2020 School . . .